Covenant Presbyterian Church appreciates individual concerns regarding privacy on the Internet. In general, anyone can visit this site without revealing personal information. To the extent that a visitor supplies personal information to www.covenantpres.net via the Internet, we may use this information to improve our site and the services we offer in addition to responding to any particular requests of our site visitors. We do not, however, share this information with others outside the church and will remain committed to respecting your privacy. The information contained in this website is provided solely for the general interest of members, prospects and friends of Covenant Presbyterian Church. The use of the information provided in these pages should not be taken as establishing any member relationship between Covenant Presbyterian Church and the reader or user of this information. Covenant Presbyterian Church assumes no liability or responsibility for any errors or omissions in the content of this website. 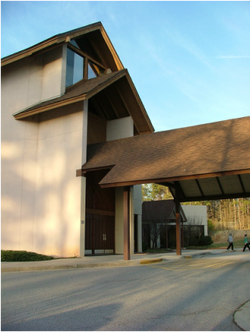 The Covenant Presbyterian Church provides links as a public service. Information contained in these pages is intended as an aide to developing people. Certain links on this site lead to resources located on servers maintained by third parties over which Covenant Presbyterian Church has no control. Covenant Presbyterian Church, therefore, makes no representation concerning (and expressly disclaims any liability for) the content, accuracy or any other aspect of the information contained on such servers.